My new tool at android play market – you can find it here. 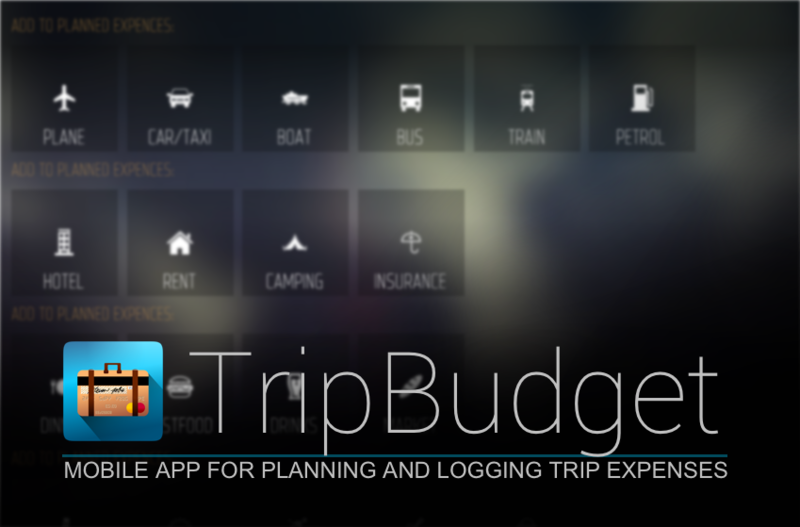 This is stylish planner/tracker for your trip’s budgets – planning and logging as one fast and fancy instrument. As this is beta version – the following details were modified from version 1.0 and will be changed in future to reflect recent updates. Typical workflow is the following – you create new trip and add planned expenses (which are divided by simple categories and are very easy to add). You can create several versions of the same trip and compare final estimated values. After that you switch from plan mode into ‘spending’ mode and log actual expenses. 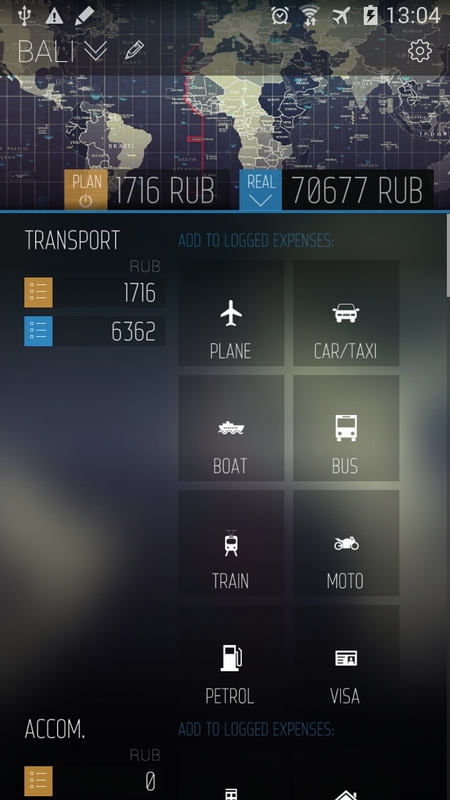 These modes are highlighted by different colors (orange for plans and blue for real expenses) to make it easy to distinguish from each other. When you enter price you can also provide text comment, multiplicator, tax/discount and specify that expense is shared between several people. This data can be modified later in the list of expenses. 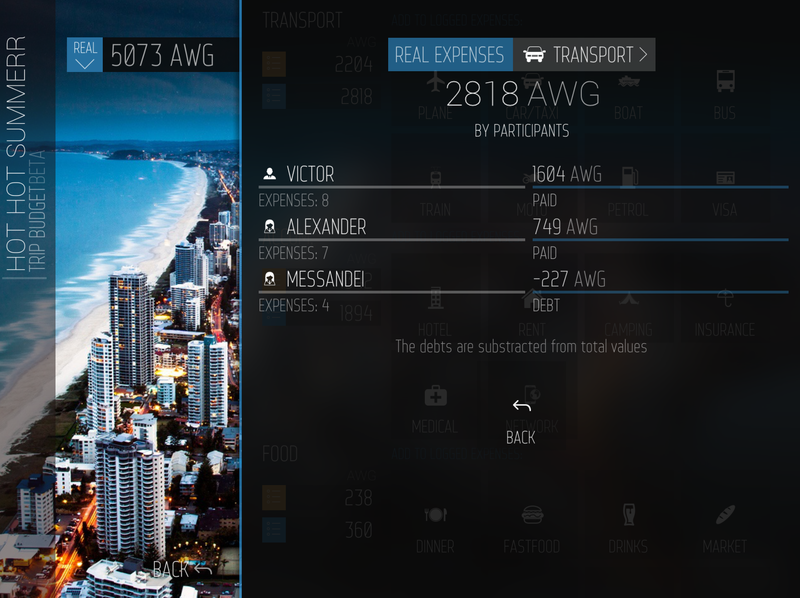 In main settings you can add the list of money sources and track their balance. Such sources also can have values of another currency. When you enter tracked expense the value will be automatically subtracted from selected source. 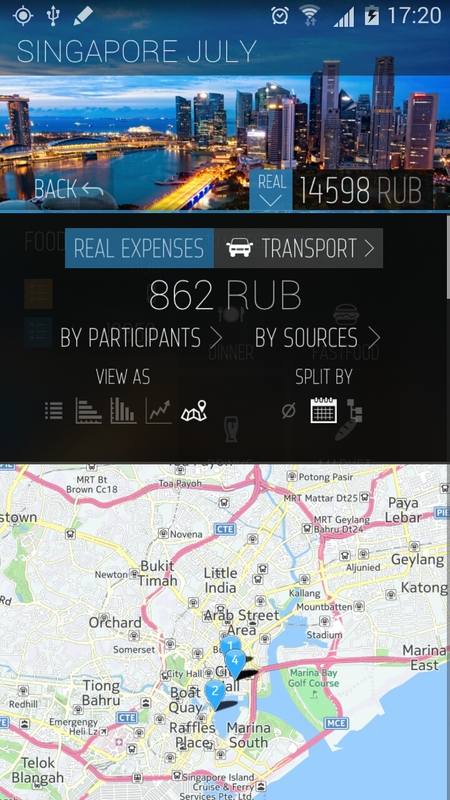 The app uses gps sensor to log expenses locations. This gives you ability to plot tracked points on the map and find the places you liked later. Also you have ability to make photos and attach them to expenses (such as receipts and so on). 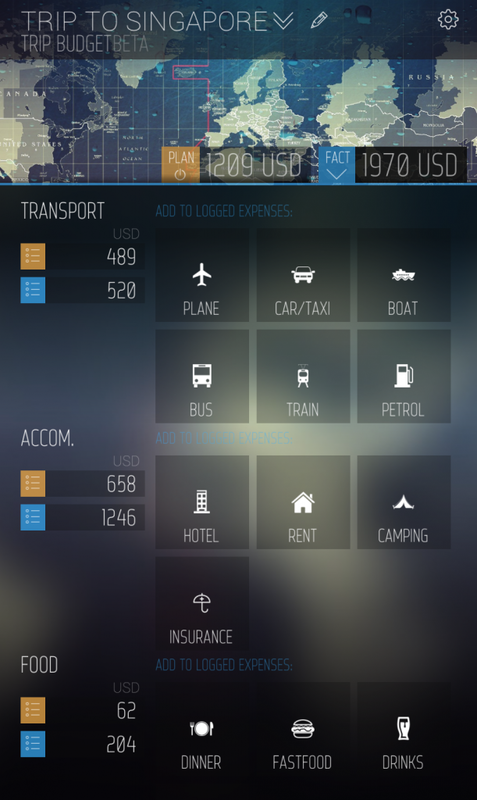 You have a lot of view modes for the lists of expenses. Two differed styles for the lists, several types of plots and special map view. The list can be filtered by main category sections, users, money sources. Also there are grouping options – you can group data by days or categories. See more screens below at updates section. 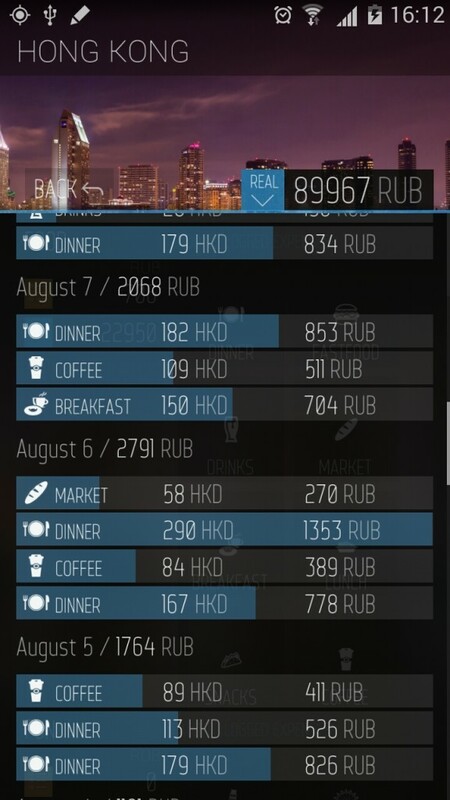 The app automatically converts expense values into base currency using public rates from open sources (like European Central Bank, etc) which are updated every day (internet connection is required). You can also set your fixed currency rates for each trip budget. As for design – i tried to make it as modern looking as possible (while maintaining the best usability). There is support for the tablets – special horizontal layout when upper panel shifts to left side to get better scrolling area. Note that design is targeted for retina-like devices as it has thin fonts. But also i added a bit of customization. At the moment you can select one of high res backgrounds (travel related). The image has slight movement as well as minor parallax effect. Incoming updates will also provide cloud synchronisation of trips and expenses. You can switch between interface languages at real time. At the moment supported languages are: English, Russian, Español, French, Dutch, Italian. If you found some mistakes in translation or want to help with translation to your language – go to the end of this document – there is information about crowd translation there. Application is powered by my cross-platform engine – so iOS release is coming soon enough (as soon as beta ends). The count of supported currencies was greatly increased (and there are several sources now). 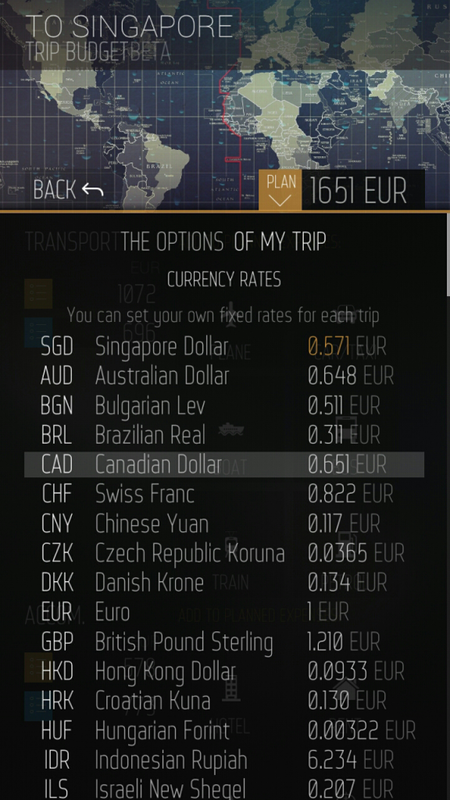 You can now enter custom currency exchange rates for each trip. 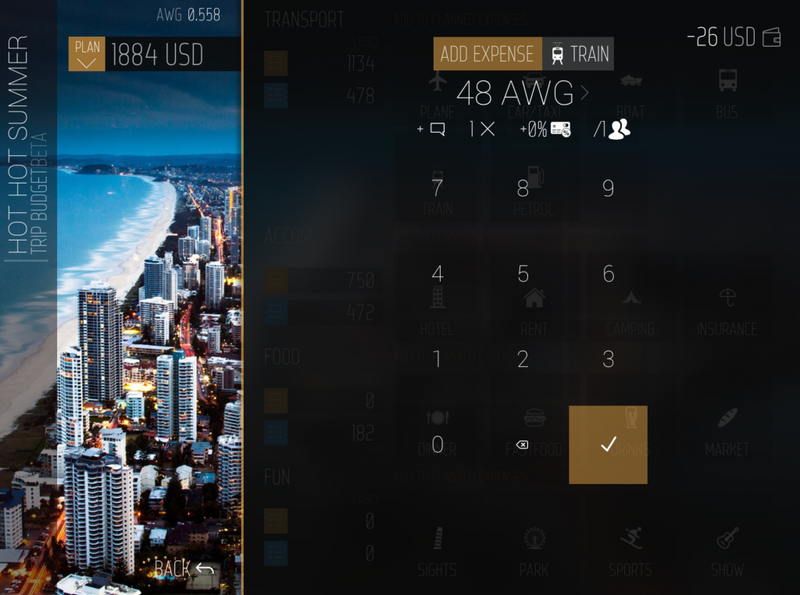 The currency selectors were considerably changed – now its alphabetic list and the most used currencies will go up to the top of the list for easy usage. App now uses standard android keyboard (the ‘custom’ keyboard was there as part of engine – now it should support standard android keyboard). 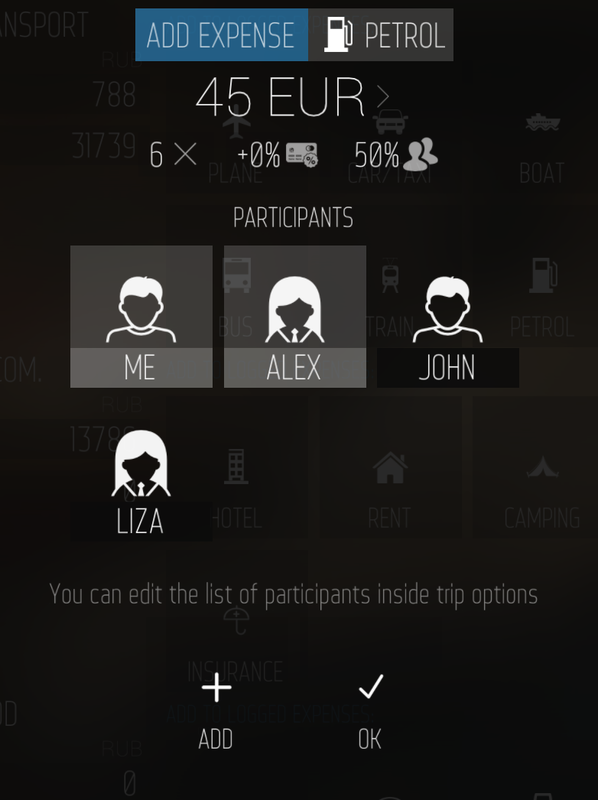 Also you can delete old trips now (long press on trip list to see delete dialog). For better usability at horizontal layout the design has been refactored. When your device is landscape oriented the upper bar moves to left side to make the scrollable area fit all height of the screen. So the expense entry keyboard is supposed to fit without any scrolling. The settings now have new ‘suggestions’ section from which you can go to the forums and write your ideas. Big thanks for all who will do it. 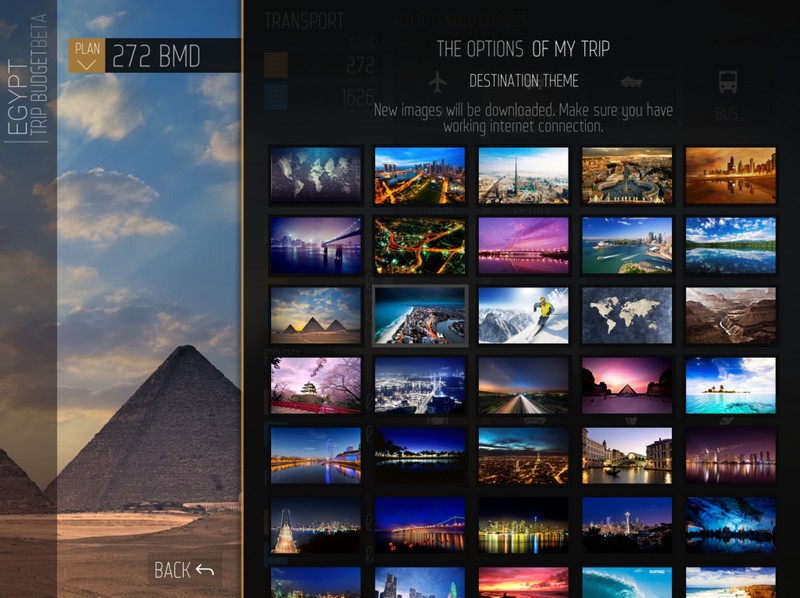 This version introduces two major improvements – multiple trip participants and money sources. Money sources contain such types as debit cards, credit cards and cash. 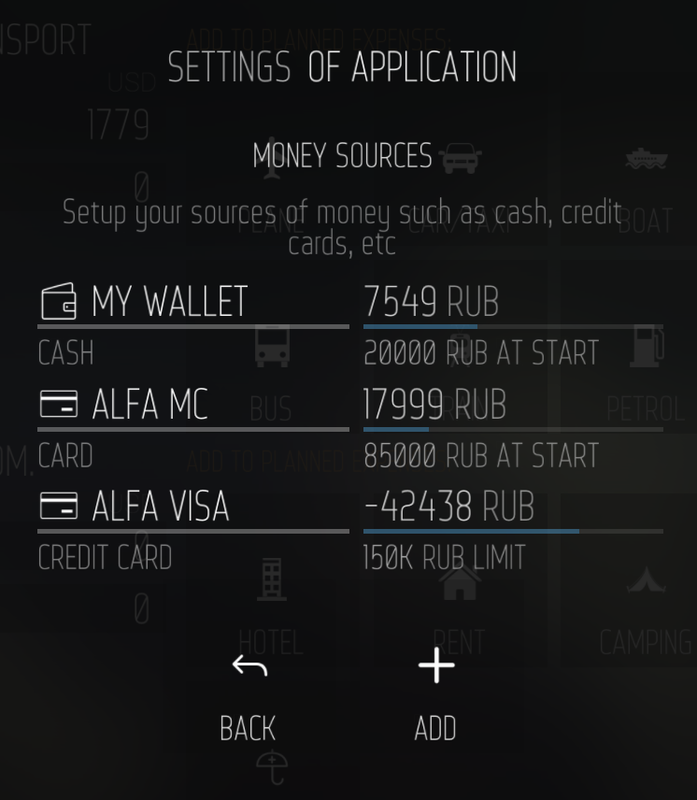 When you log expense in ‘real’ spending mode the amount will be converted into currency of source automatically and will be subtracted from selected source balance. 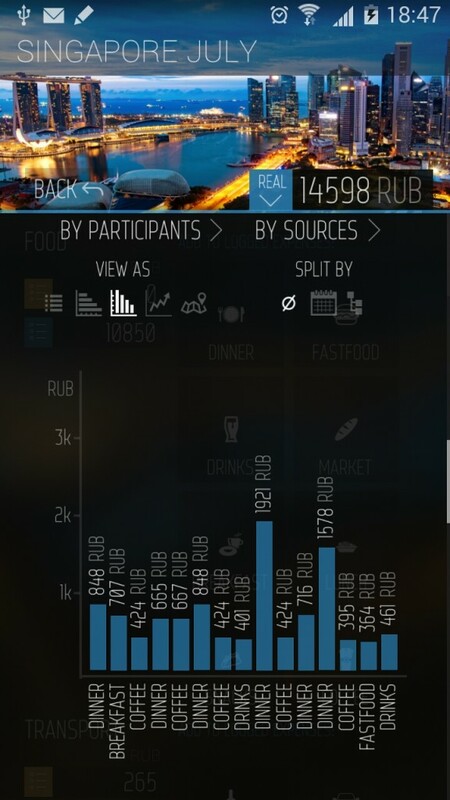 This will help to track your estimate sources during your journey. Each trip now has additional section in options where you can add the participants to the list. When you entering expense you can select who was participating in each spending action. Its also possible to set for who you have to pay if you have to pay not only for yourself. For example, if you are travelling as couple with pair of your friends, you still have to pay for your companion only – which makes 50% of 4 ppl expense and this is possible to track easily now. You also can select money source as DEBT from another participant (the list to track your debts will be added as well). The list of expenses was improved to support new expense parameters – you can see expenses grouped by participants (to see overall spent amount and total debts) and also check impact on your money source in corresponding section. Clicking on each source or participant will provide the list of connected expenses. 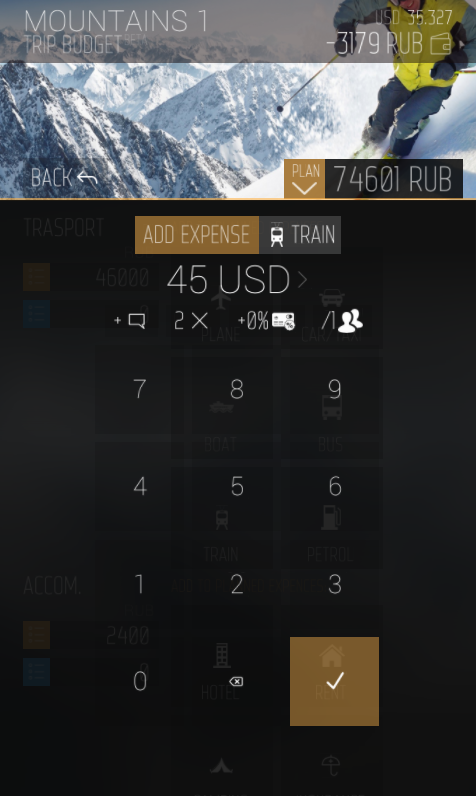 New version adds ability to add custom expense categories. You can find new configurable list inside application settings. There are large set of possible icons, but if you think there is something missing – feel free to write below in comments. There is also new ability to hide selected categories from front panel. 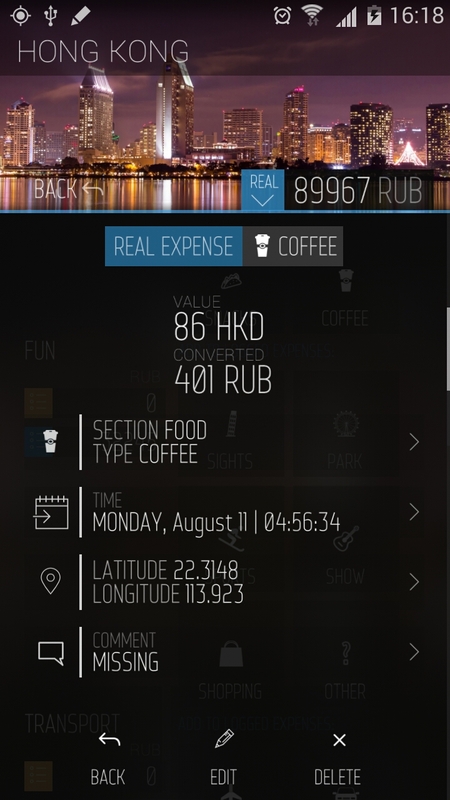 + New view mode for expenses list – view expenses on map. We are using Nokia maps here. + Ability to modify category of expense. + Click on maps will open system map or navigator. So now you can build routes to tracked locations using your favourite gps-navigator in just couple of clicks. + Optimizations for large lists of expenses should really improve UI speed on not-so-fast devices. Here is small preview of what coming inside next updates. If you want to help with crowd translation of TripBudget to your language – you can help using translation page. THANKS A LOT. Current state – RU, ES, NL, FR, IT langs are already at market. NOTE: Any reports and suggestions are highly welcome in comments. This entry was posted in Android, Applications, C++, iOS, Kobald, Mobile development on 31 January, 2014 by Victor Laskin. Hello. No pressure, but I (like many others) was wondering about the status of this app. It is basically all of the things I want in a budgeting app on my phone. If life has gotten in the way, I hope everything is okay.